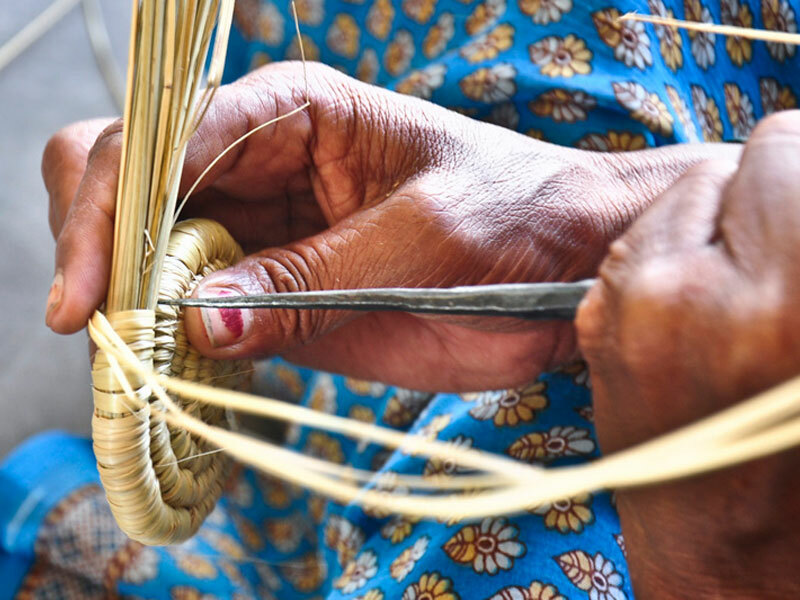 The art of Coiled basketry is one of the famous basketry in India. 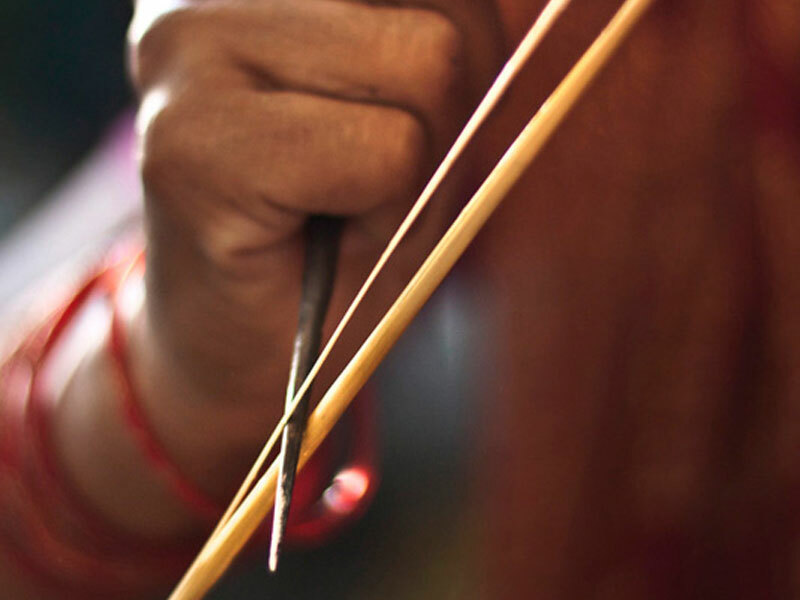 There is a vast change introduced in the craft by implementing new shapes, design patterns and new techniques. 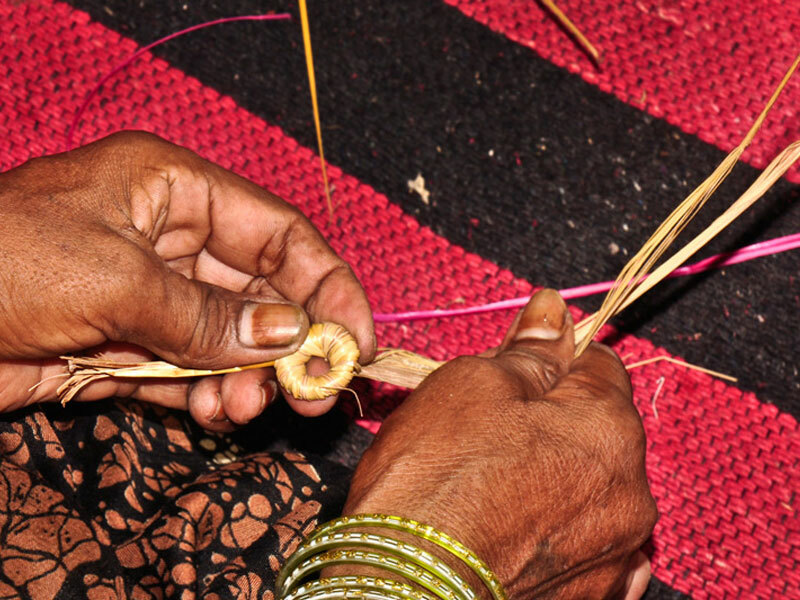 Different forms and shapes are evolved by using natural grass with a technique which consists sewing together the coiled strips, coiling starts from base. 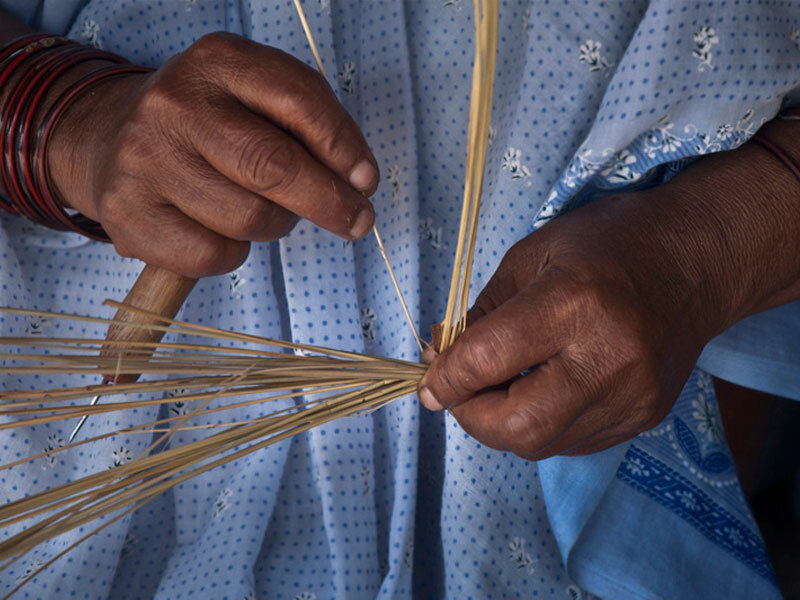 The shapes and techniques of basketry vary from one region to other according to the local custom, needs and techniques. 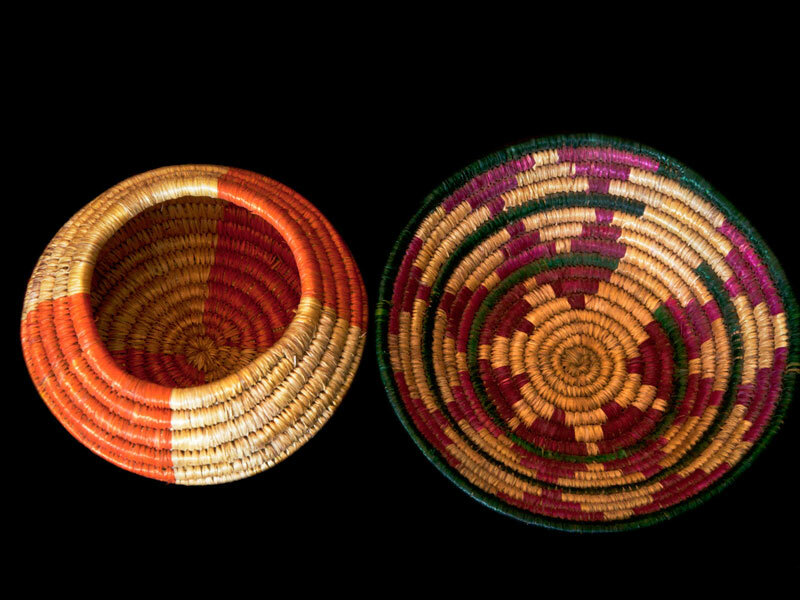 The baskets are largely used by the tribal women to carry food and store grains. 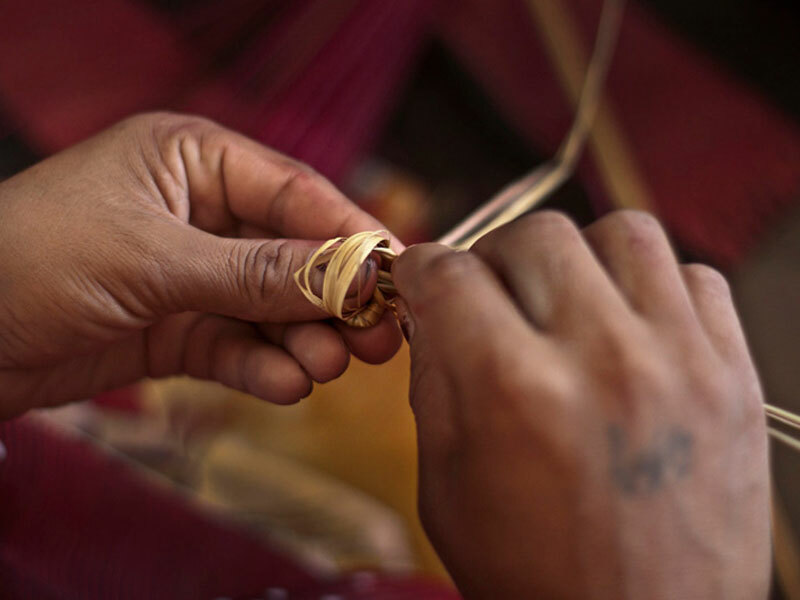 The dried wild grass is wrapped and coiled for rolling. 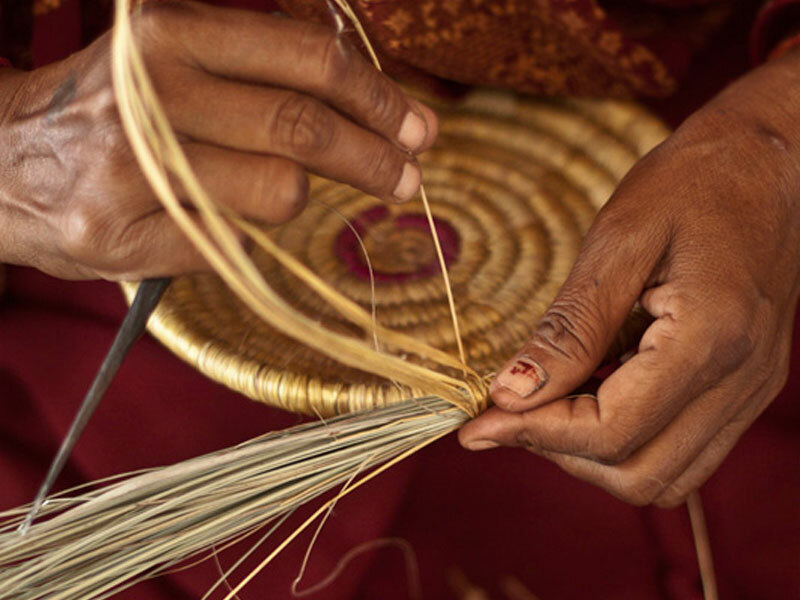 The motifs of basketry are created by adding colored grass in between during weaving process. 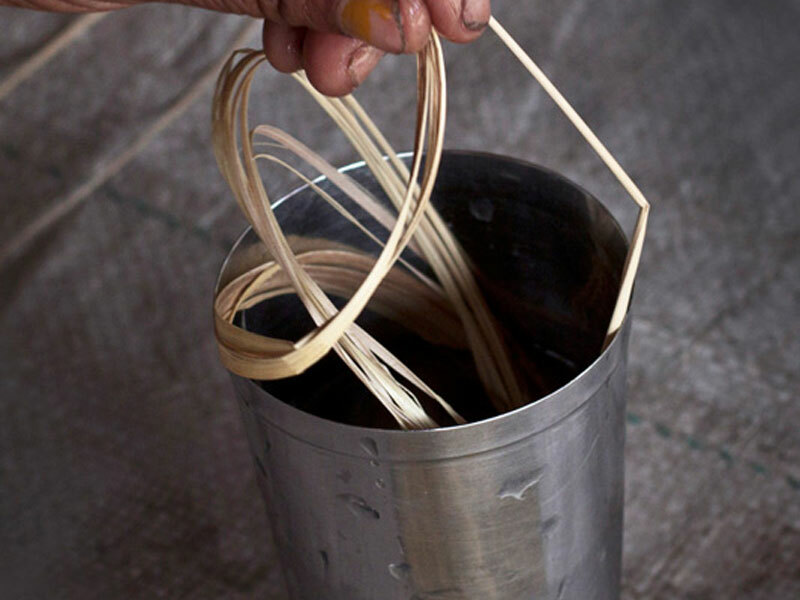 Coil grass products used for both domestic purpose as well as ritual purposes. 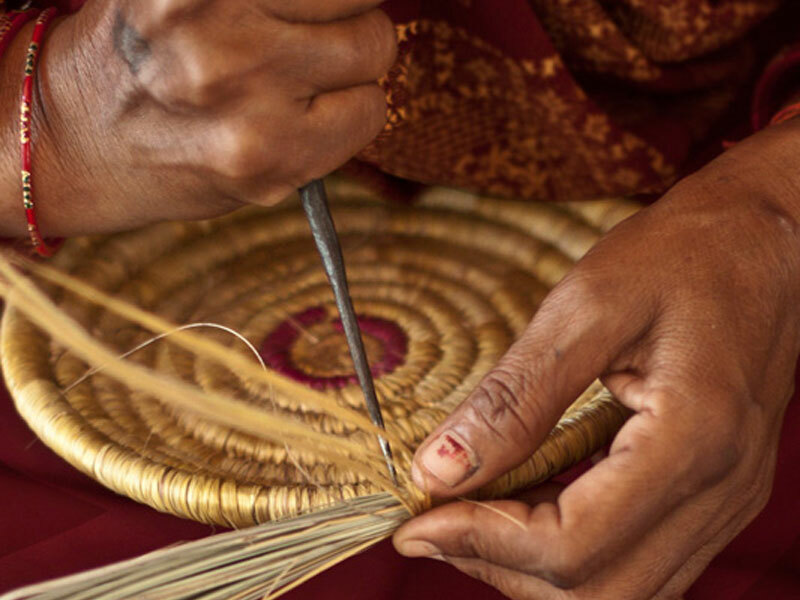 Basketry making is mainly done by women. 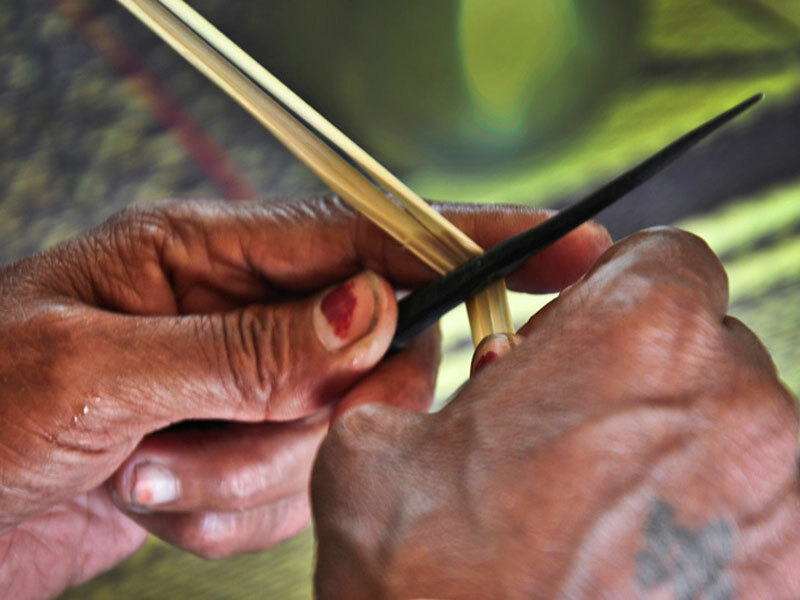 Basket making starts by making the base first. 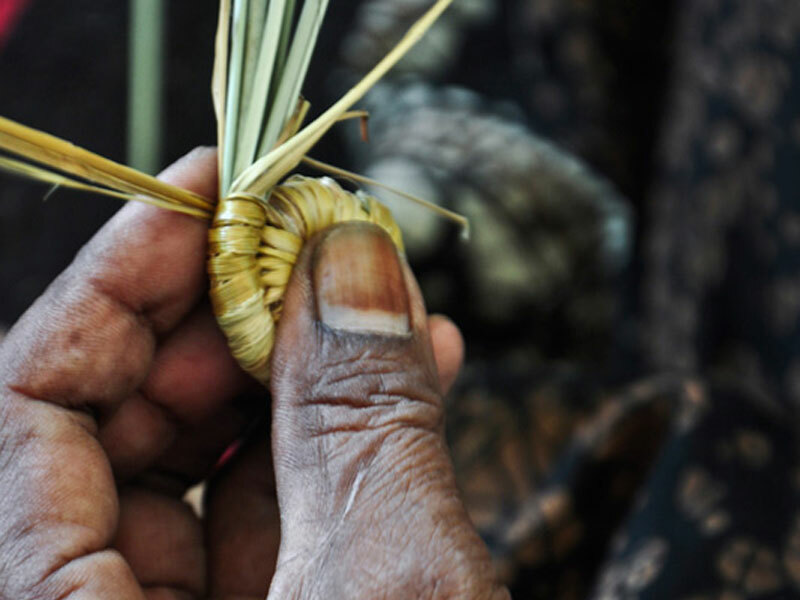 Two types of grass are used in making baskets are harvested and wild grass.